Blueknight749 - Brian Enos's Forums... Maku mozo! Maybe I'm a little crazy but I've been using N340 at 5.1gn with Xtreme 180's HP and they are hitting at 169-170pf. The velocity is right around 933fps (average). 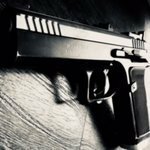 The test weapon is a Sig X5 Competition. Valor Ammunition out of West Valley City, Utah is barely starting out but I've been doing some T&E for them with the help of some fellow teammates. 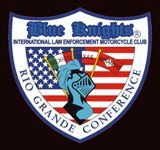 Certain members of the Blue Knights International Law Enforcement Motorcycle Club sponsored our new jerseys for the organization's new shooting team as well. I ordered a Benelli M2 Field 21" off of Bud's Gun Shop and had it shipped to TSS. I had it in my hands in a week!! Total cost was $1675 (gun and work performed) but I included the Nordic tube, TTI lifter and extended bolt knob. It was well worth it!!! I'll post a pic of my JM Pro install when I get home. You have to be careful that the nut inside the forend doesn't interfere with the gas piston. Haha... One pulls and another pushes. Sometimes you gotta engage the 4x4 ( 2 sets of legs) to get the sucker uphill! +1 on the Brownells. Watch for them though. They run out quick! I bought a backbone 24 thinking I could strong-hand, muscle my way to quick loading... boy was I wrong! When practicing, remember to setup your gear accordingly as well! I ended up buying two carbon arms SSL6 plates to break up the backbone 24 and divide up the rounds. Lets see how that works! Very interesting. While I haven't been shooing very long, in 2008 while attending the Border Patrol Academy, our firearms trainers always had us place our support side thumb along the edge of the slide. I remember they used to tell us that the support hand thumb, when parallel to the slide, should be the same length (or uniformed) to the trigger finger of the strong hand when the trigger finger is resting along the slide, I've been shooting this way since 2008 with great results but I'm curious to see if I will gain any noticeable improvements over what you talked about. +1. The Firearms instructors at work always harp on that. There is a whole formula on where the rounds impact that will tell you how you are holding the pistol. Why are Salomon shoes so popular for shooters? I've used them on 2 matches and so far I'm really digging them! Animal Customs shut down their operations. Gunsta products take about 30-45 days in past experience since they are overseas. I'm leaning to techwear right now as well.